Since 1926, Empire has grown from a small company to a large regional distributor employing more than 150 staff. In that time, however, the company has never abandoned its loyalty to employees, suppliers and customers. For 80-plus years, Empire has sustained an atmosphere where employees and customers are part of an extended family. For, it is the bonds of family that strengthen lives. 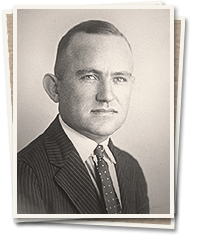 Empire's is a story of risk and reward that all started when founder Linton H. Estes saw the need for a paper supply company in North Texas. The discovery of oil shook up much of North Texas in the early 1920s. Entrepreneurs descended on the area to capitalize on the growth. New companies were in need of the basics: paper sacks, typing paper, business forms and wrapping paper. Estes began his company out of a 1,000-square-foot office in downtown Wichita Falls. Their first sale two weeks later was $164 worth of grocery bags. The company has passed through four generations of Estes family owners, each one contributing to the company's success. In 1935, Linton moved Empire into a 21,000-square-foot warehouse south of downtown Wichita Falls where it remained for the next 67 years. 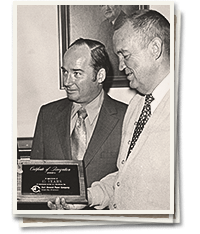 Pete and John L. Estes, Linton's two sons, expanded the product line to include janitorial supplies and agricultural chemicals. 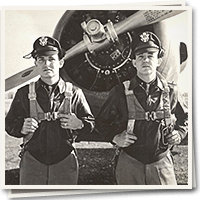 Born of their love of flight and service as World War II Air Force pilots, the brothers sold crop duster services, herbicides and pesticides to local farmers and ranchers. Pete later branched off to form Estes Chemicals, Inc. in 1957, leaving John to run Empire. In 1955, Monty Wright was hired to lead and train the Empire sales force. Wright's personalized touch to selling emphasized product demonstration and encouraged progressive thinking about what the customer needed verses just pushing a product. The emphasis on training and understanding customer needs has only increased through the years. The Wright family maintains their own legacy with the company. Monty's son, Ron, serves as Empire's Sr VP & general manager. Ron's son Chris Wright works as operations manager for the West Texas distribution center. Ron’s other son Aaron Wright oversees bids and sourcing. 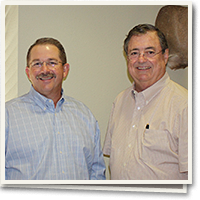 John L.'s two sons - John M. and David Estes - steered the company through the period of the 1970s, 80s and 90s, prompting the company's acquisition phase with the purchase of a new branch warehouse in Lawton, Oklahoma in 1992. The 2000s saw the most significant physical and technological expansion for the company. In 2001, John M.'s son, Jason Estes, was hired to design and oversee construction of a new distribution center and corporate office. Jason has also overseen much of the company's technological improvements. 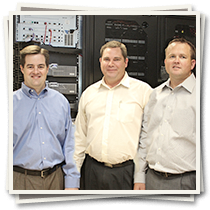 The following year, the company implemented a "hub-and-spoke" distribution model initially serving West Texas. By 2003, the company had opened a new 55,000-square-foot warehouse in Wichita Falls and by 2005 a 115,000-square-foot regional distribution center in Lubbock, Texas. Through additional acquisitions Empire solidified its success in transitioning from retail showrooms to a major regional distributor. Empire's ever-expanding territory now includes several regional Texas sales offices in Amarillo, Irving, Lubbock, and Oklahoma City. The company now operates two distribution centers, five sales offices and a high-tech corporate office, comprising 200,000 square feet of total office and warehouse space. The company's service area includes Texas, Arkansas, southwest Kansas, Oklahoma and New Mexico. The company services regional and national accounts via the web and its affiliation with Tri-Link and AFFLINK. Empire sells a range of facility supplies: cleaning and janitorial supplies, cleaning equipment, office supplies and furniture, safety supplies, packaging and foodservice products, and commercial laundry and warewash systems. Empire services an array of industries: commercial facilities, schools and universities, food service and food processing, government, healthcare, hospitality and entertainment, manufacturing, retail, and commercial laundry and warewash.